As a teacher, I used to select picture books that reinforced the curriculum I was teaching. If those books included diverse representation and wonderful moral lessons, that was a fantastic bonus! However, as a mom, I sought books in an entirely new way. I searched for books that would show my daughters reflections of themselves and their peers in a positive and empowering light. I sought to show them an embodiment of who they are and can be! 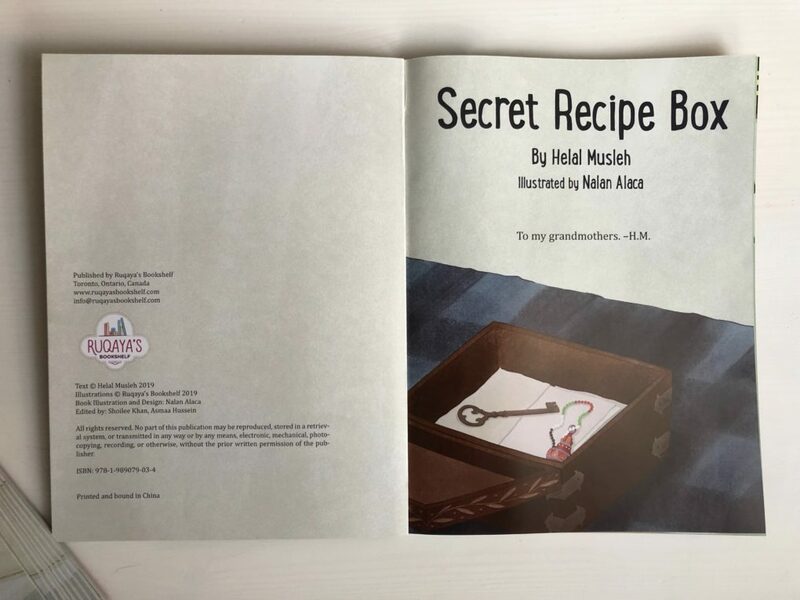 That’s how Secret Recipe Box was born. Growing up as a Palestinian-Canadian woman, I *never* once saw myself mirrored in the books before me. This lit a fire underneath me. I wanted to show young readers the Palestinian spirit. A spirit that relies on community bonds, giving generously, breaking bread together and a resilience that transcends so much adversity. It didn’t start and end there, though. 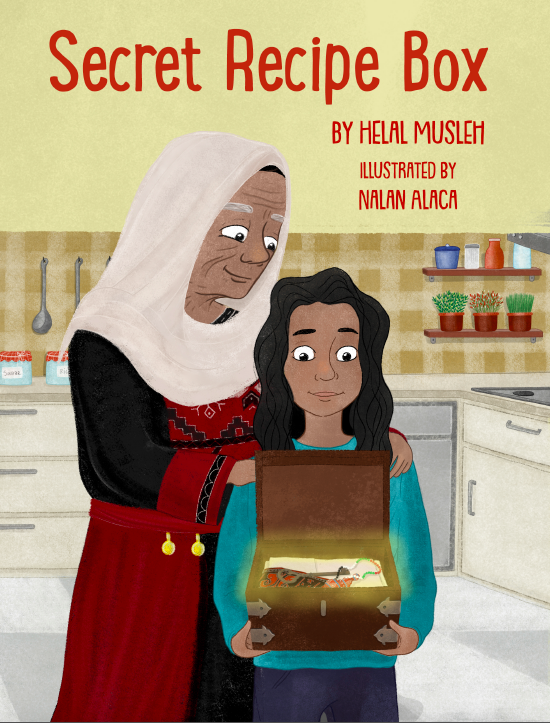 I needed to make sure that my young readers knew how important the role of maternal figures are in the Palestinian household. As a child, sitting in the rural village of Attil in Palestine, I saw my own grandmother embody all the principles I mentioned above. She’d pick cucumbers from her farm and gather them in the folds of her clothes. It was a whole process: bending, checking, plucking and storing. When she was done, she’d wipe them off and pass them to the children first. She never once took the first bite, or the best parts of our meals. Persistently, she passed out the best and juiciest pieces of food to her family and children, while she munched on the scraps left behind. Her spirit was forever gentle yet inspiringly strong, and it needed to be shared. My daughters, all our daughters, needed to know of her nature. She is the story of Palestine. Her and all the women like her who prop their communities and families up on their shoulders. 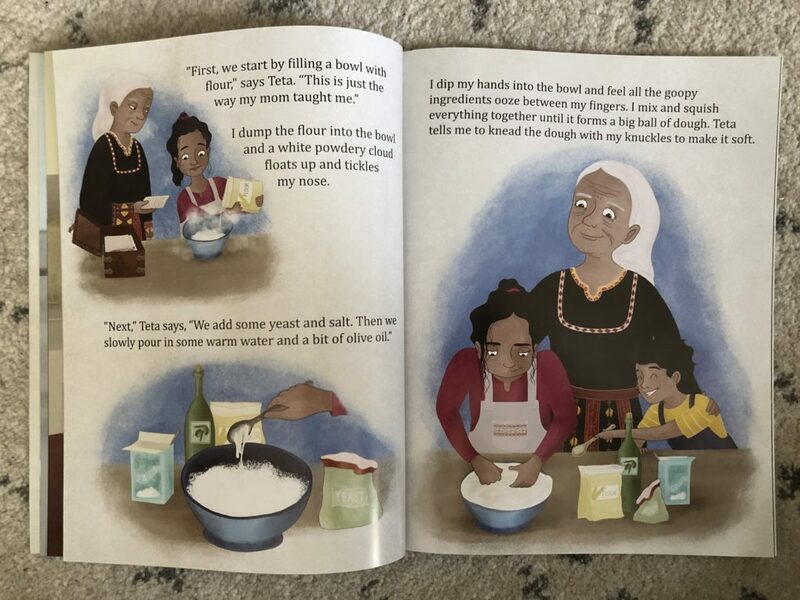 Their story needs to be told to our children. This is the book as it sits atop my maternal grandmother’s white scarf. This scarf. She draped it over her head during most of the day. Her house was an open door, to everyone and anyone who stopped by. This scarf. After her passing, it traveled all the way from Palestine to Canada, to be my keepsake. This scarf. A reminder of the beautiful lessons she helped weave into my own life. This scarf, and my tribute to her, now intertwined. Words cannot express how monumental this is to me. 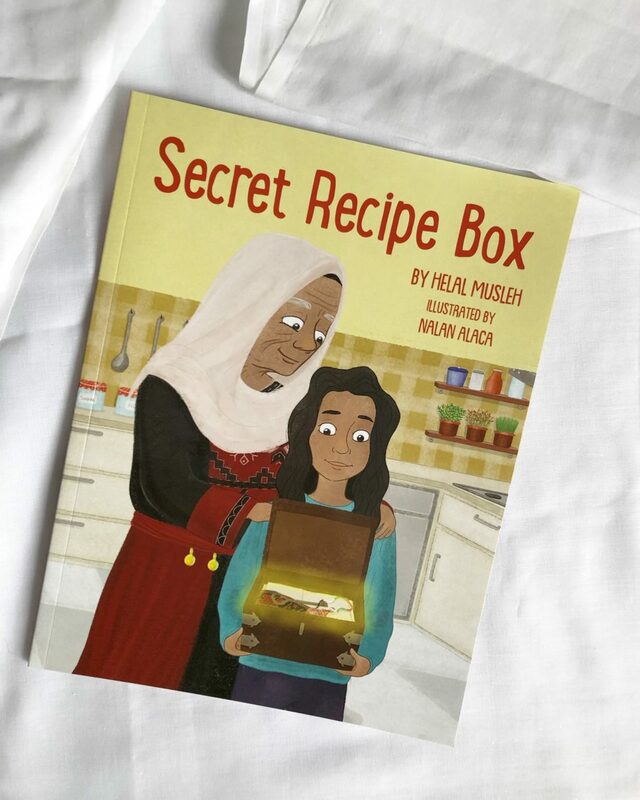 For more information on Secret Recipe Box, and to order you copy, click here!